Thank you all for a wonderful challenge. The gallery looked amazing and you all embraced the technique challenge beautifully, with lots of stunning cards and really interesting techniques. 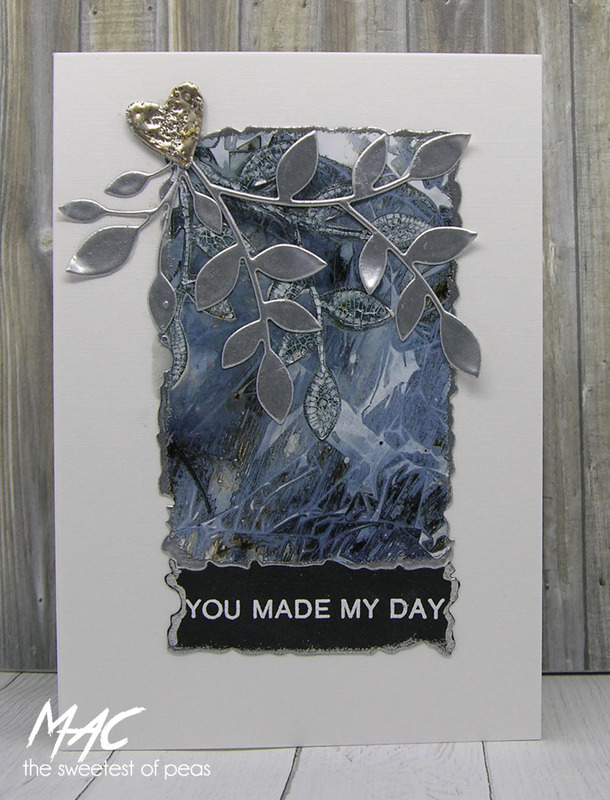 Thanks so much for playing along with our Metal challenge! 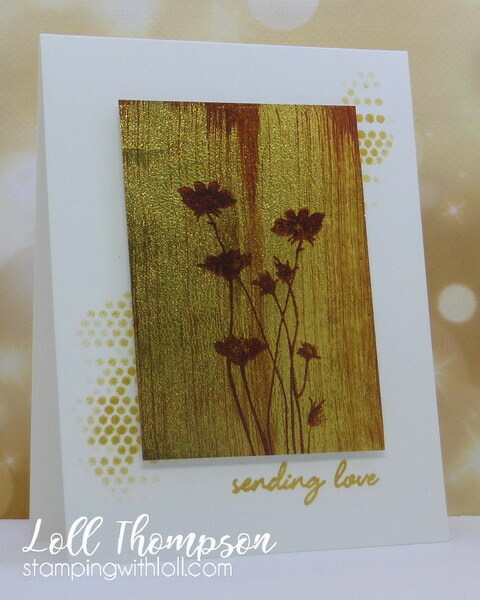 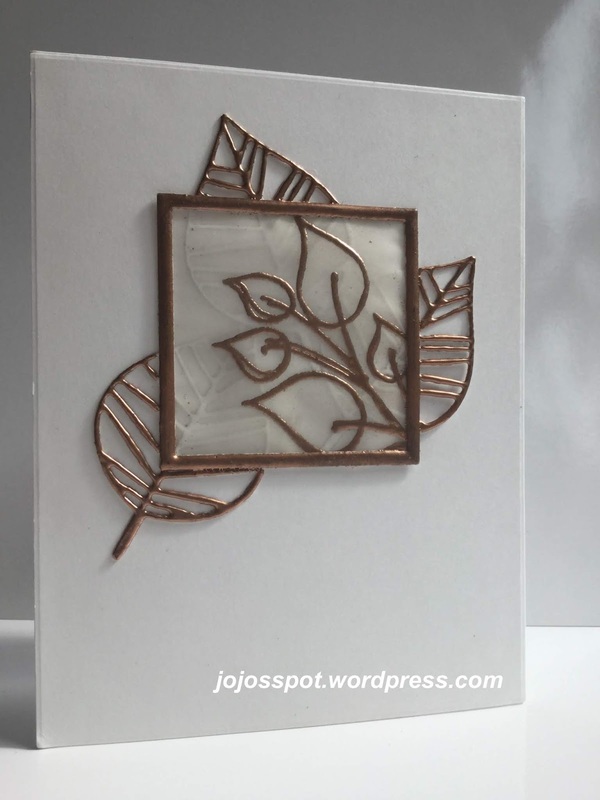 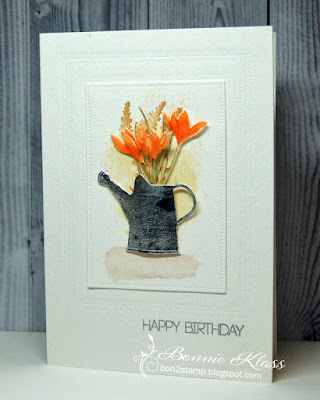 BozenA did a wonderful job on her card of layering the heat embossing powders to create a molten faux metal effect and also added texture where she did not heat the powders quite as much. 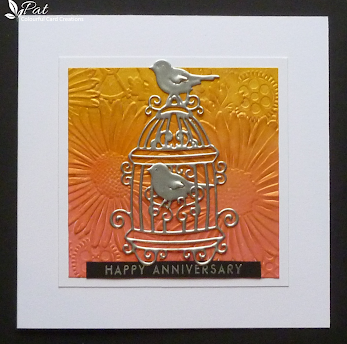 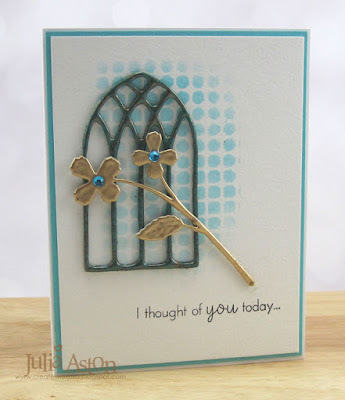 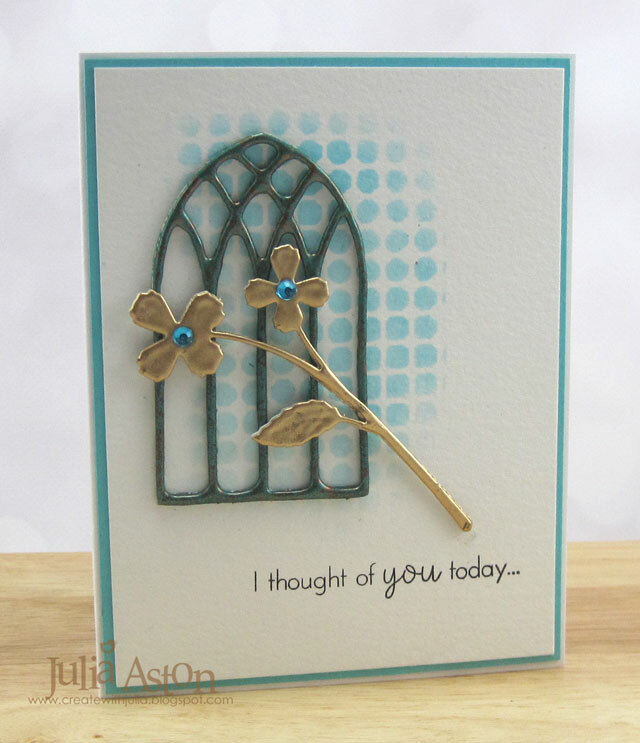 A stunning card and a wonderful job of mixing the medias, incorporating the metal challenge and keeping it CAS. 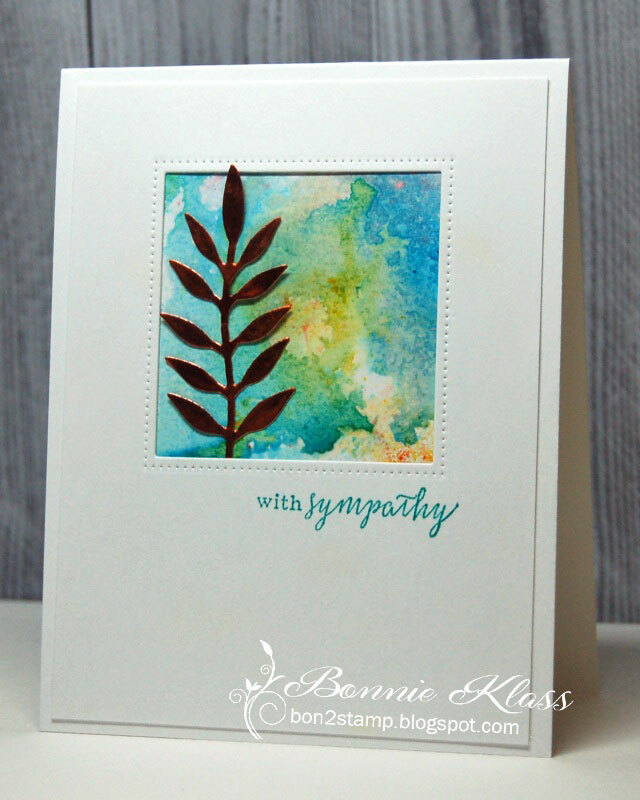 Congratulations BozenA on being our fabulous winner this month! Metal can be Real or Faux. 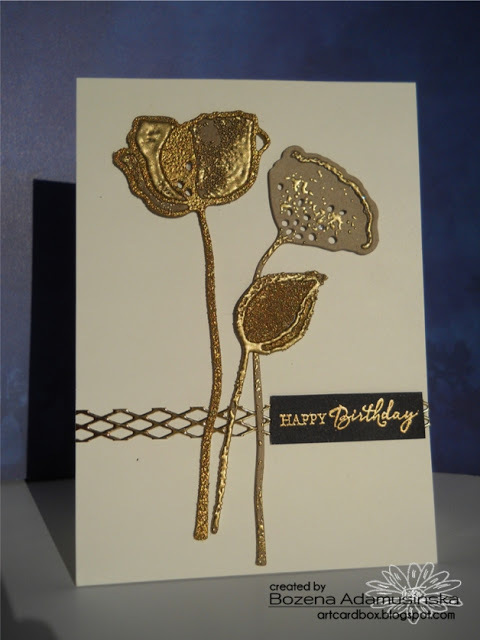 You could also use layered die cuts and heat emboss to look like metal. 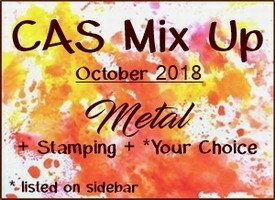 like making your own 'Metal Looking Card' or even making your own charms. 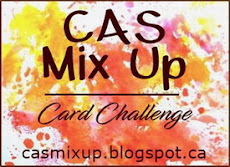 Have fun and I am looking forward to seeing your CAS creations in the gallery. 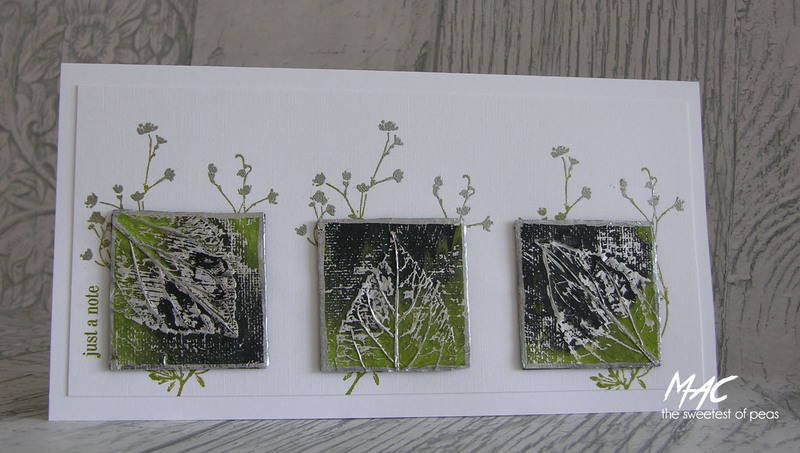 Using Alcohol Ink on tin foil + Stamping + die cutting and Bisters Stencil Monoprint. 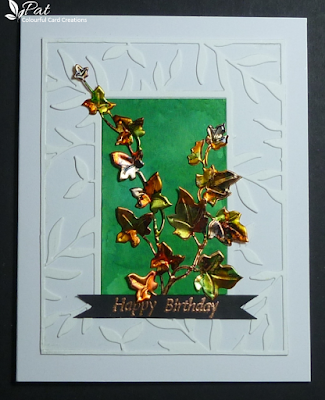 Using layered embossings on layered die cuts, stenciling, stamping and rhinestones. Check out the Top Picks from Septembers's Ink Stamp with Markers challenge HERE . 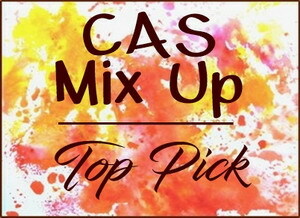 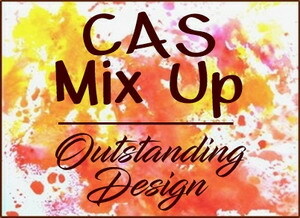 our CAS Mix Up Design Team. 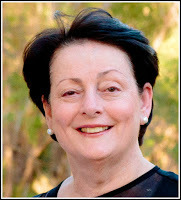 We are so excited to have you join our team! 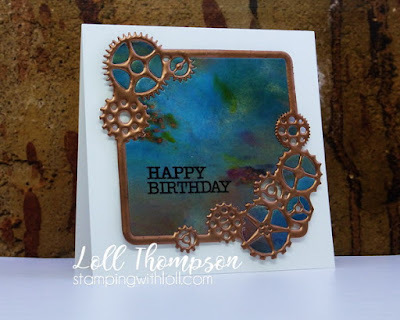 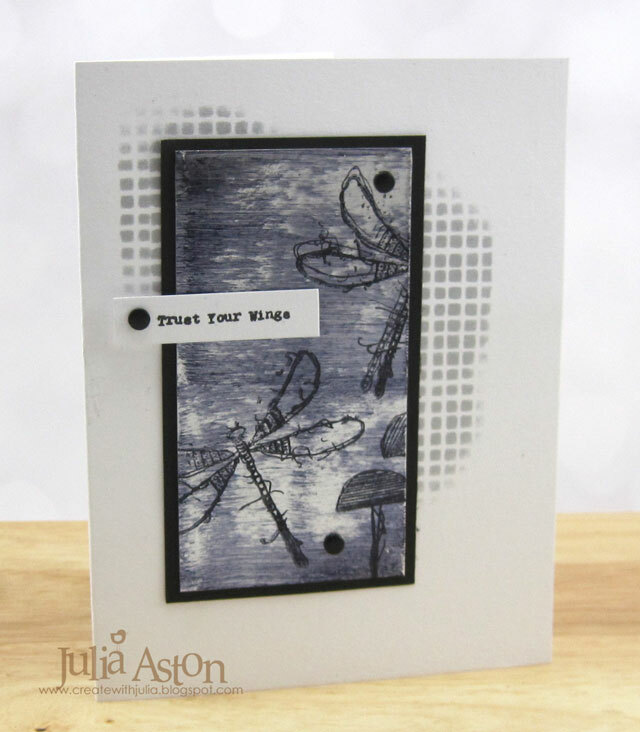 She won the August Stencil Monoprint challenge with this gorgeous card. Using Black Ice technique, stamping, stenciling and enamel dots.